When I posted the original MSRP prices the announcement the ATF had approved the sub-caliber firearms had recently happened, but no firearms had yet been imported. I’ve recently been updated the MSRP prices were bumped up. While this has been the case for the month of May, I have not seen an increase in actual sales price, which has been below MSRP. The correct pricing is as follows. The list of dealers is growing and so the existing list is now only a list of the first dealers. The APC has been showing up on GunBroker already (note the cleaning kit is shown in that auction post*). 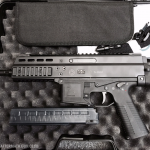 Larry Vickers recently posted an eye candy video with the B&T APC9 on the range. 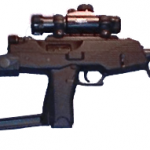 The subgun shown is an LE select-fire sample with a B&T suppressor. B&T USA will be making suppressors here in the United States, to the same specs and materials as the original B&T cans. UPDATE: As this has been a question on AR15.com and TFB. According to B&T USA’s attorney – the APC FCG (fire-control-group) being swapped out for USA parts is enough to make it 922(r) compliant. As long as the magazine isn’t foreign made. Per B&T (I’ve asked on this more than once to confirm) the FCG is AR15 compatible. No word on the TP9. 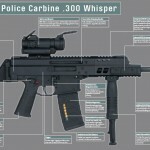 Also B&T USA is making the TP9/MP9 suppressors in the United States. would love a B&T suppressor if its the same as the european spec ones, had one in Afghanistan and blows my Silencerco away. the B&T APC9 is fun to shoot, especiall suppressed, shot one at an event recently. B&T USA is working on this; they will be the same specs, the same materials, and made the same way. That’s the plan!